The living room in their cozy Westmount cottage is dominated by a century-old baby grand piano, a Heintzman rebuilt so its robust sound, in the right hands can fill the room with sunshine. Gabrielle Soskin and her husband Ray Busbridge bought the piano so their children, Matthew and Annabelle, who are now adults, could learn to play the instrument. 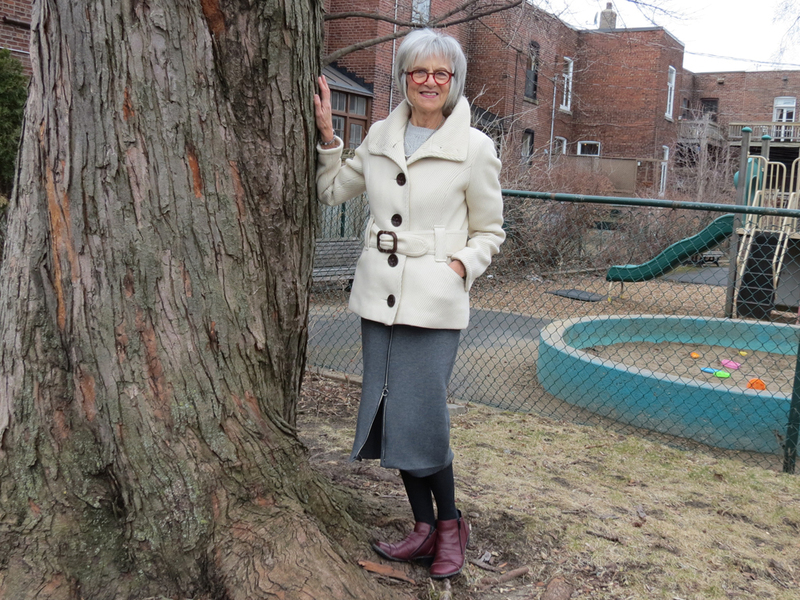 She was 50 at the time and Soskin, now retired as a drama teacher at John Abbott College in Sainte Anne de Bellevue, had this creative burst and decided that, rather simply listening to her children practice and progress, she would learn to play. That was the first of several bursts that continued as the British-born Soskin entered with full force into the second half of her life, which continues to this day with her other projects, including her first play. Her latest creative exploit is a one-act play, called Counting Aloud, which she has written and will perform May 31 to June 3 at the Conservatoire de musique et d’art dramatique, in the heart of the Plateau, at 4750 Henri Julien. It is a fund-raiser to support emerging artists who perform at Persephone Productions, the not-for-profit theatre company she founded in 2000. The piano, and the skill she has acquired after several years of hard work, is at the kernel of the story – how middle age and beyond are perfect times to fulfill dreams, learn new things, develop new skills, and live a creative life. We talked about it last month in the dining room half of the double-parlour of the house on Somerville, near Claremont. “We girls were brought up to find a husband, a good Jewish husband. I did not want to take that path – I didn’t want to settle down, I did not want to arrange flowers – I wanted to be a rebel girl, I wanted to lead the world!” When she turned 18, she enrolled in acting school, at the Bristol Old Vic. At this point Soskin was reluctant to continue telling her saga, because she did not want to give away the essential elements of the play. For reasons outlined in the play, Soskin became a drama teacher, but living in England, she felt unhappy and unfulfilled. Then she met former Montreal Star reporter Susan Altschul at a party and at her suggestion decided to move to Canada. “I booked my passage on the Empress of Canada and I sailed to Montreal.” She then began working at Dawson College and Roslyn School, before being hired full-time in the drama department at John Abbott College, where for over 27 years she taught acting interpretation, text study, social dance, and theatre history. It was in 1996 that she began to direct plays at the school. At the turn of the century, Soskin decided to create a professional theatre company for young professional graduates. She named it Persephone, registered it as a not-for-profit organization, and ran it for 14 years. Ex-student, Christopher Moore, now runs the theatre, and directs the play. As a youngster and until the age of 20, she did play the violin. The play, loosely based on her life, recalls the time at age 50 when she began taking piano lessons, took them seriously, and reached grade 10 level at the McGill Conservatory. She was 73 when she took the last exam! “I had aspirations to excel, I wanted to be a brilliant pianist and the play charts the journey of a woman having to discover that that is not the most important thing. “The play tells that story, and of the demons inside us that often prevent us in reaching fulfillment, the fact that we often feel that we are just not good enough. performances May 31–June 2 and a 3 pm matinée Sunday June 3 at the Conservatoire de musique et d’art dramatique, 4750 Henri Julien. $40. 1 Comment on "Gabrielle Soskin’s first play is about reaching new heights after 50"
I think I’ll book passage on a boat and just sail into America.